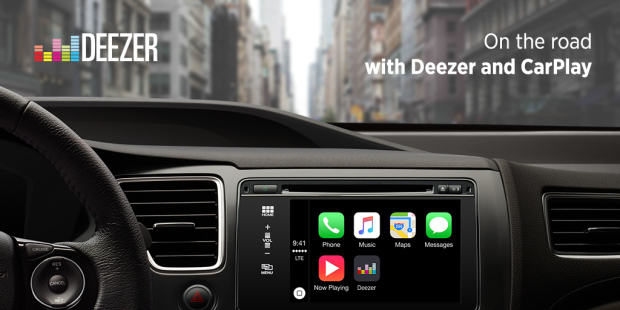 Deezer Music has announced that its iOS app will be updated today with CarPlay support, making the streaming music service's full catalog of 35 million songs available through Apple's in-dash software platform. CarPlay support will be limited to Premium+ and Elite paid subscribers. Deezer on CarPlay allows subscribers to listen to their favorite songs, albums, artists and playlists, choose a Mix channel based on their mood, use Flow to discover new music and hear favorites, access music in offline mode and more. Flow can be intuitively improved by using the Like and Dislike buttons on CarPlay. CarPlay provides hands-free or eyes-free access to Maps, Phone, Messages, Music, Podcasts and other third-party apps including Spotify, Rdio, iHeartRadio, CBS Radio and MLB At Bat. The platform also uses Siri voice control and interfaces with your vehicle's knobs, dials and buttons for safer access to common iPhone features. CarPlay is or will soon be available in a wide range of 2016 U.S. vehicles from Audi, Buick, Cadillac, Chevrolet, Ferrari, GMC, Honda, Hyundai, Kia, Mercedes-Benz, Mitsubishi, Porsche, Volkswagen and Volvo. Apple lists over a dozen other committed CarPlay partners on its website. 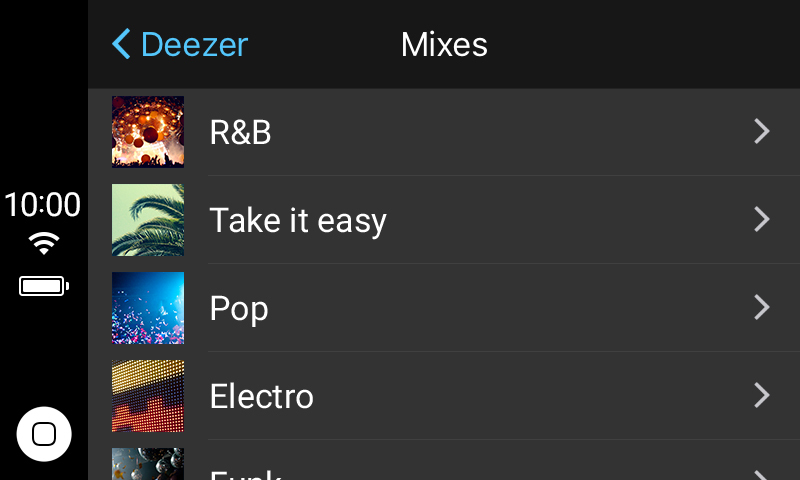 The updated version of Deezer Music should be rolling out on the App Store later today. Deezer on CarPlay is compatible with iOS 7.1 and higher. What the hell is Deezer music? Wow. Who thought that name was a good idea? Sounds like (old) geezer! Surprised they aren't all Lawrence Welk all the time! This sponsored post brought to you by...a company no one has heard of. So we get Deezer but we don't get Waze? Now this is great news. Deezer is superb (in my humble opinion) for many reasons but the number one reason is streaming FLAC quality music to Sonos speakers along with full Sonos functionality (no no no this isn't a hijack about Sonos but since I use those speakers etc etc). Wish Apple/Sonos had acted quicker to integrate Apple Music on Sonos but they didn't so I'm a Deezer man for now. I'm also working on the old camper van this winter including updating the sounds so will now look out for compatible aftermarket CarPlay device. By the way they do play on the word 'GEEZER' for their UK based adverts. Limited platform availability in US which most likely explains some of the early comments.